I hope you are all doing well and are having a fabulous weekend so far. Here's to having a relaxing Sunday before the new week commences. Let's talk perfume. It's invisible, yet it's one of the most unforgettable accessories and I think you can never have too many. Rihanna is a powerhouse at the moment, I keep seeing her name pop up everywhere - whether it's for her music, fragrance line or her newly launched Fenty Beauty makeup line. 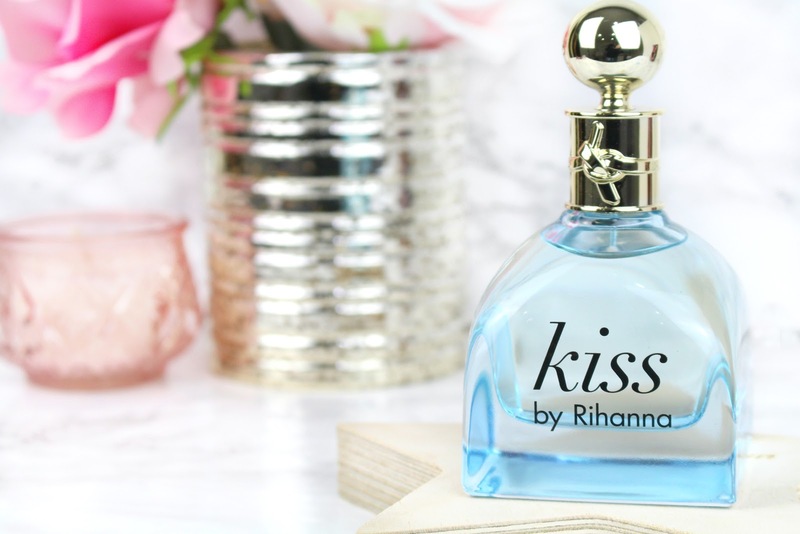 Kiss by Rihanna is one of the newest launches to her namesakes RiRi collection. It's a seductive and playful scent that is available internationally and it captures Rihanna's effortlessly evolving style and confident attitude. It's nothing like her previous fragrances, it has an elegant white floral scent which combines orange blossom, gardenia and peony with a playful 'kiss' of juicy plum and seductive woods to leave a lasting impression. If you've already started to think about Valentines day (which is only 31 days away) this could be a great gifting option. The packaging. Designed by Rihanna herself, the Kiss by Rihanna bottle reflects the signature feminine lines and styling of the two preceding fragrances in the RiRi collection: The first being RiRi by Rihanna. 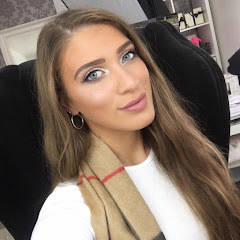 You can read my review here but in a nutshell RiRi by Rihanna* is a flirty floral that is super feminine, mischievous and playful. The formulation consists of Passion Fruit extract, Rum Absolute, Sparkling Cassis, Italian Mandarin, Japanese Honeysuckle, Pink freesia, Madagascar Vanilla, Sandalwood and so much more to create an all round gorgeous fragrance. Also, Crush by Rihanna. Exuding sophistication and allure, the powder blue tinted component is accentuated by a contrasting golden cap featuring the collections signature sphere. I find this perfume to be quite long-lasting, a little goes a long way in my opinion. I much prefer this, to not being able to smell a scent after five seconds is literally the worst thing ever! Once the sweet and floral scents fade initially after spraying, I find that the Cashmere wood, Cedarwood and Ambergris for the woody seductive base really come through for a sensual feel. I think this has to be one of my favourite scents by Rihanna And no…that not because the bottle is super cute and aesthetically pleasing haha. Overall, the scent is mesmerising, whimsical, and unexpected. The dynamic addition to the RiRi fragrance collection is flirtatious, feminine and light-hearted. 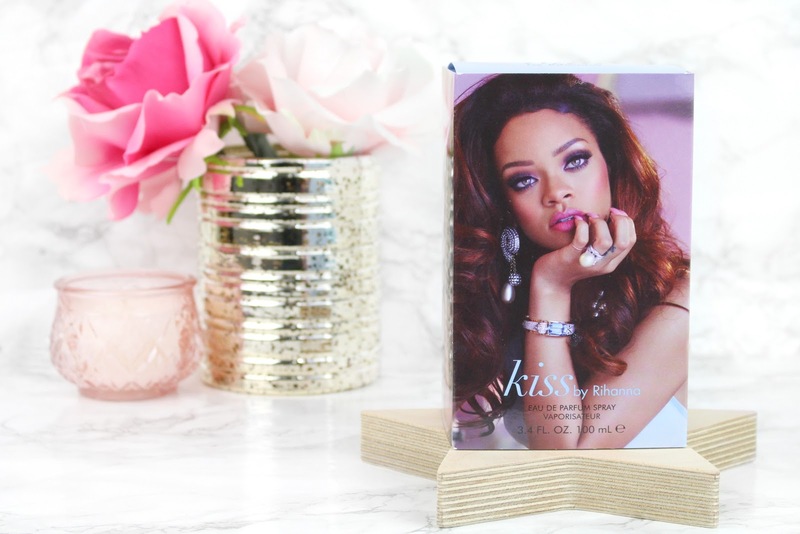 Sometimes celebrity fragrances can be a little hit and miss but when they are done right you know instantly and Rihanna has pulled out all of the stops with Kiss. Have you tried any of Rihanna's fragrances?